Inspired by Fabric: Waddington Road in print! When you look at a quilt, do you try to envision the block it's made out of? 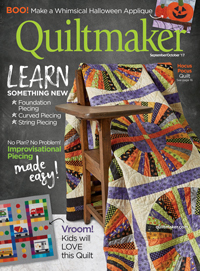 Take a look at Barbara J. Eikmeier's new quilt, Floating Palette, featured in Quiltmaker magazine. 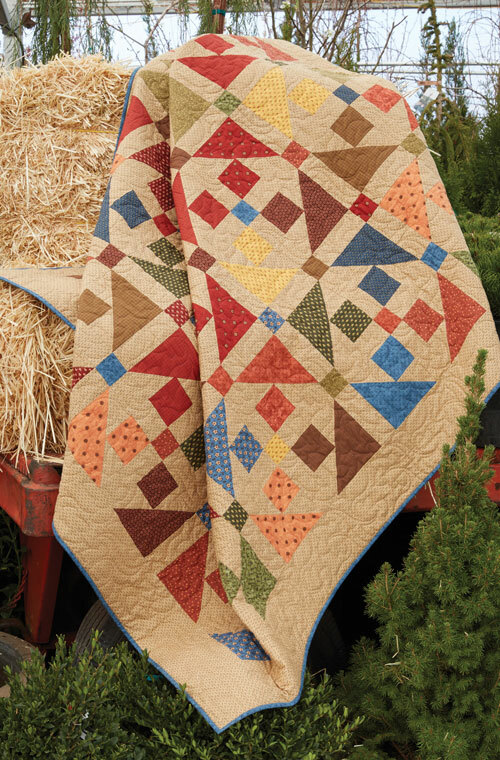 The quilt uses her Waddington Road collection--such a gorgeous palette! 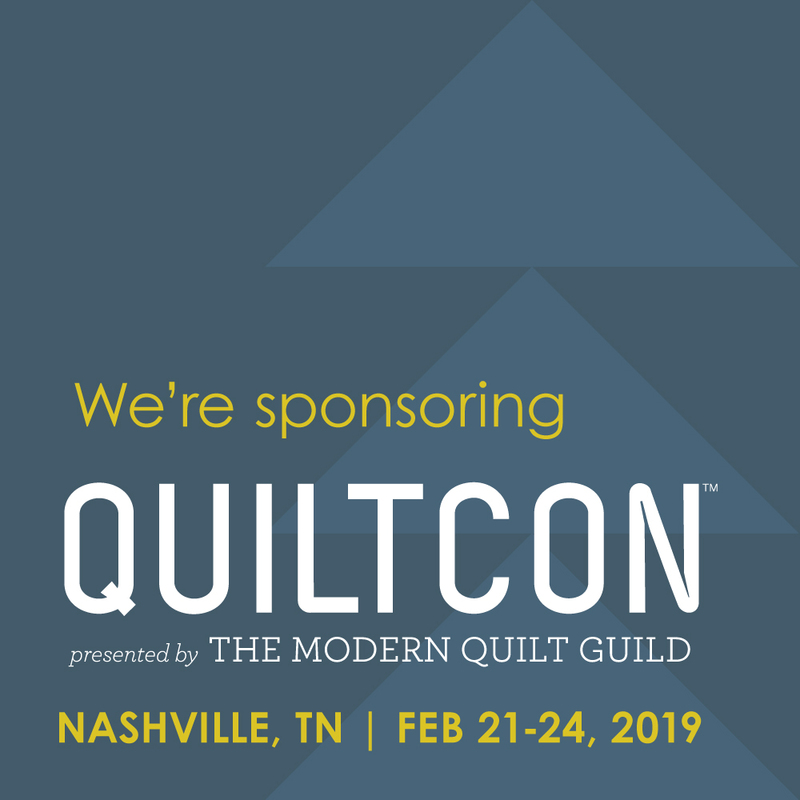 Below, Barb talks about the quilt, and you just might be surprised when you find out what the block is! Q: How did this design come to be? BE: I design using EQ software. This quilt is made from smaller shaded fourpatch units—a 6” block. The quilt is put together with sashing and cornerstones, rotating the position of the blocks. This creates a larger block with a ninepatch in the center. I think the different sized pieces contribute to the interest of the quilt. Q: Did you intend for this quilt to have a scrappy look? BE: Yes. I wanted to use as much of the colored prints in the collection as I could. I assembled the blocks in a grab and go style to add to the scrappy look. Then I used scrappy cornerstone squares as well. Q: Do you see a curved effect in the design? BE: Yes! When I put the cornerstone squares into the sashing, the curvature showed up and I really liked that. Stumbling across happy accidents like that are part of the design process. Q: What do you like best about the quilt? BE: I like that when you look at the overall quilt, the more you look at it, the more design elements you see. The circles, the ninepatches stand out to me. But also you get these sideways things to me that look like a spool. I like that the more you look at it, the more things you see that are interesting. Q: How did you choose the border fabric? BE: The beauty of working in EQ is that it’s easy to try different border colors. When I tried the background fabric as the border, I liked it best. Because the triangles are in the corners, having a background color border means the units popped out more. 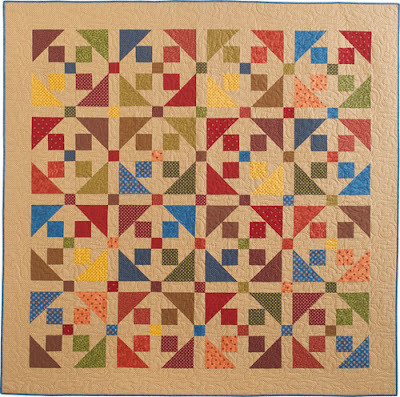 See the entire Waddington Road collection here and ask for it at your local quilt shop. This is a beautiful quilt Barbara! Thank you for sharing it with us! I emailed about the last blog post but didn't hear anything. Can you let me know if you received my email?